We're just going to say it: Lauren Conrad is the celebrity queen of Halloween. You might think it's Heidi Klum, with her extravagant annual costume party, or Kim Kardashian, with her unwavering dedication to continuing to come up with creative ways to wear a skin-tight leotard. But no. It's Lauren Conrad. And we have nine very good reasons why. Conrad is as dedicated to Halloween as she is to making every aspect of her life as chic as possible—and her dedicated goes all the way back to her childhood. She always makes her own costume, and it usually turns out obscenely well. This year, we've learned, Conrad is going as a mermaid. Not the most original idea on the planet, but the way she put it together (which you can check out on her blog) really takes it to the next level. Keep scrolling to see nine of LC's best Halloween costumes ever! 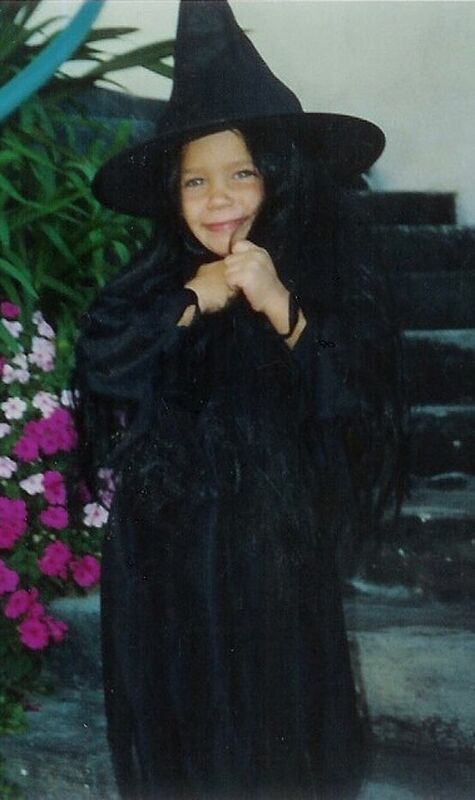 A baby LC went as a witch, and apparently she was quite happy about it. Once she was a bit older, Conrad graduated from witch to genie. Just call it the Aladdin effect. In 2008, LC went as a flapper lady. For a 2011 Halloween party, Conrad went as Minnie Mouse. Conrad also went as "Baby...One More Time"-era Britney Spears to another event in 2011. In 2012, Conrad went as a very convincing Mary Poppins. Not one to be outdone by herself, Conrad also went as a ghost in 2012. Last year, Conrad went as the tooth fairy, complete with a bag full-o-teeth. For her costume this year, Conrad is going as a lady of the sea. You can head to her blog to see how she made the costume! Do you agree that Conrad is the queen of Halloween? Tell us in the comments below!